Mixed Pepper Salad | What's for Dinner? A great salad or garnish made from Olive Garden® Italian Dressing, chopped pepperoncini, sundried tomatoes, parsley, basil, oregano and roasted peppers. 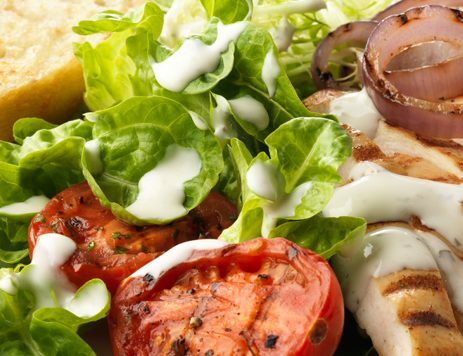 Combine all ingredients with Olive Garden® Italian Dressing and mix together. Refrigerate and marinate one hour. This mixture can be prepared 1 day in advance. 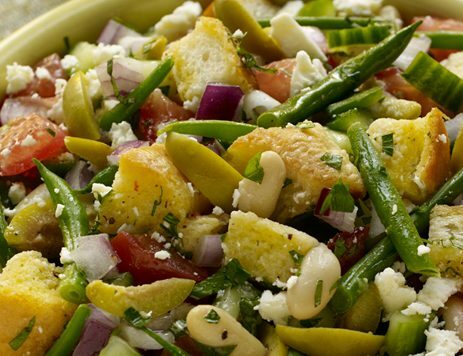 Serve as a salad, a garnish with grilled meat or fish or on grilled bread.